Their faces are probably the most famous revolutionaries of the second half of the twentieth century. Of the many historical photos to come out of the Cuban Revolution, this casual snapshot of official relaxation is certainly one of the lesser-known moments. 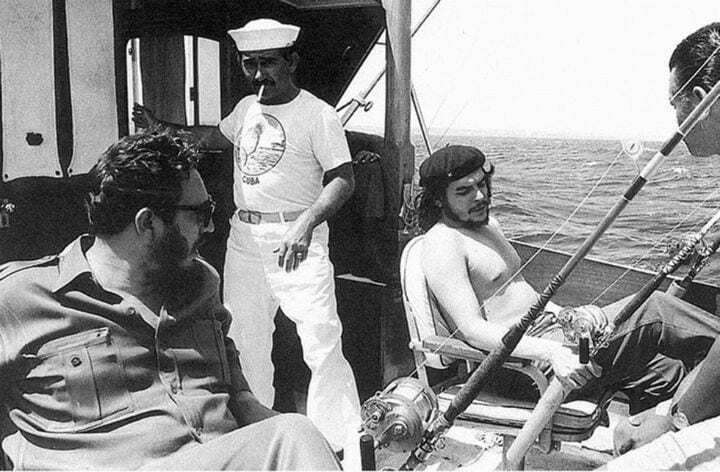 Photographed in 1960 off the coast of Cuba, here we see Cuban Communist leader Fidel Castro and his right-hand man Che Guevara fishing for marlin. Considering the weight of what they had just accomplished in Cuba the year before by overthrowing the regime, it’s bizarrely calm.